Abstract: The River Danube crosses ten countries: Germany, Austria, Slovakia, Hungary, Croatia, Serbia, Romania, Bulgaria, the Republic of Moldova, Ukraine. On the territory of Romania, the Danube measures 1075 kilometres, and forms a natural frontier with Serbia, Bulgaria, the Republic of Moldova and Ukraine. There have been several projects, some elaborated on command, others out of one’s own initiative, traced back ever since 1837 when the sultan Mahmud II asked a German commission to study the possibility of building the Danube-Black Sea Canal. In medieval times, the Danube formed the frontier between the Ottoman Empire and Christian states in Central Europe. In order to better defend their Empire the Turkish administration built fortresses North of the Danube, on the left bank of the river, including on the territory of Wallachia. After 1417, when Dobruja became part of the Ottoman Empire, the last 150 kilometres of the river until it flows into the Black Sea were under the authority of the Empire. In this area the course of the river makes a right angle flowing from the South to the North, parallel with the Black Sea, then it resumes its West-East direction until it finally flows into the sea. As commerce developed and as the navigable course of the Danube was more and more frequently used to transport goods toward and from Central Europe, there appeared the idea of shortening its route to the Black Sea, by building a canal between Cernavoda and Constanţa. It was a matter with both political and strategic implications, after 1812, when Russia had annexed Bessarabia, controlling thus the mouths of the Danube, and also after the Adrianople peace of 1829, when Russia occupied the Danube Delta. There were several projects, some elaborated on command, others out of one’s own initiative. Thus, in 1837, the sultan Mahmud II asked a German commission to study the possibility of building the Danube-Black Sea Canal, but no concrete result was reached. The Romanian agronomist Ion Ionescu de la Brad studied the situation of Dobruja on the spot, and he published his results in 1850, in his work Excursion agricole dans la plaine de la Dobruja. It was also Ion Ionescu de la Brad who published in “Journal of Constantinople” on April 4, 1851 the study Canal de Küstendje, where he explained the necessity and the possibility of building the Danube-Black Sea Canal, and argued that channelling the Danube on a navigable branch between Cernavoda and Constața was an economic necessity that would contribute to the development of the entire region. After the Crimean War (1853-1856), the Treaty of Paris regulated the navigation on the Danube, by sanctioning the liberty to sail on the said river and by removing Russia from its mouths. In 1878, Dobruja was returned to Romania, and the rulers of Bucharest paid a special attention to the integration of this territory within the Romanian state. An important role was played in this respect by the railway bridge over the Danube connecting Feteşti with Cernavoda, built by the Romanian engineer Anghel Saligny between 1890 and 1895. The port of Constanţa entered then an ample process of extension and modernisation, becoming one of the largest maritime ports of Europe. At the end of the 19th and the beginning of the 20th century, the plans concerning the construction of the Danube-Black Sea Canal multiplied. For instance, in 1883 the study Project d’un Canal Danubien de Küstendje a Tcherna Voda appeared in Brussels, signed by the Romanian Grigore M. Lahovari and the Belgian James von Drunnen. In his turn, A. C. Diamandopol published in “Curierul de Constanţa” (“The Courier of Constanta”) of April 20, 1914 an article entitled Un canal navigabil Cernavoda–Constanţa (“A Navigable Canal Cernavoda-Constanta”). After World War I, Romania witnessed a fabulous economic growth, which led her to intensify her international commercial relations in general, therefore including those on the Danube and the Black Sea. In this new context, dozens of studies and articles were published related to the construction of the Danube-Black Sea Canal, among witch let us cite just: The Navigable Cernavoda-Constanţa Canal. The Power to Achieve this Work, published by Jean Stoenescu in “Annals of Dobruja” of August 1922. On November 4, 1923 the Communal Palace of Constanţa housed a conference with the following topic “the execution of the Cernavoda-Constanţa Canal”. Laurenţiu Erbiceanu contributed to “Buletinul Municipal al Oraşului Constanţa”, (“The Municipal Bulletin of the Town of Constanta”) no 2 of 1924 a Memoriu asupra Canalului Cernavoda-Constanţa (“Memoir on the Cernavoda-Constanta Canal”). Nicolae C. Fleva wrote several articles about the possibility of building the Danube-Black Sea Canal in the journals “Plutus” (December 1923) and “Dobrogea economicǎ” (“The Economic Dobruja”) (January-February 1924), etc. Between 1926 -1928, Aurel Bǎrglǎzan and Octavian Smigelschi made exhaustive researches which resulted in the identification of the most appropriate course of the canal. Aurel Bǎrglǎzan submitted his conclusions at the 1934 Congress of the General Association of Romanian Engineers. In the following years several studies on the spot were conducted in order to establish the course of the canal and they were published in “Buletinul Societǎţii Regale Române de Geografie” (“the Bulletin of the Romanian Royal Society of Geography” (Pompiliu Nicolau), “Revista Aeronauticii şi Marinei” (“Aeronautics and Marine Journal”) (Alexandru Dumitrescu), etc. A precious scientific knowledge was gathered, yet nothing concrete could be done, because Romania possessed neither the material nor the financial means necessary to undertake such an operation. When World War II ended, the issue of the Danube-Black Sea Canal was reprised. According to certain sources, this initiative belonged to the leader of the Soviet Union, I. V. Stalin. In a discussion with Gheorghe Gheorghiu-Dej, the general secretary of the Romanian Workers’ Party, which took place in Moscow, after the nationalisation of Romania’s main means and instruments of production, on June 11, 1948, Stalin reminded Dej that there was a project made “at the beginning of the 20th century” regarding the Danube-Black Sea Canal. Moreover, Stalin showed Dej a map of Romania, on which the course of the river between the towns of Cernavoda and Nǎvodari “was evinced with a thick red line”. Completely taken aback, Gheorghiu-Dej argued that Romania was not at all ready for such an undertaking, but Stalin assured him that the Soviet Union would provide the necessary equipment and specialists, provided “the Romanians commit themselves to such an important and necessary undertaking”. During the following months, several teams of Romanian and Soviet specialists piled up a broad documentation, materialised in The Technical and Economic Memoir regarding the Construction of the Danube-Black Sea Canal, which contained 17 volumes. The document estimated that the construction of this canal was bringing about several advantages: it would facilitate the transportation of goods to be imported to and exported from Constanţa; it would reduce expenses (water transportation being cheaper than railroad transportation); it would increase agricultural production in Dobruja through the irrigation of large surfaces of agricultural lands; it would raise the living standards of the population by building roads, railroads, industrial enterprises, cinemas, schools and other cultural institutions; it would improve the health status of the inhabitants through the drainage of swamps and moors, etc. The waterway was to follow the following course: Cernavoda-Valea Carasu-the Lake of Sutghiol-the Cape of Midia, with two locks – one near the settlement of Saligny and the other one near the settlement of Nǎvodari. Based on this Memoir, on the 25th of May 1949, the Politburo of the Central Committee of the Romanian Workers’ Party decided “the commencement of the preparatory works” for the construction of the Danube-Black Sea Canal, that would “radically transform” the territory of Dobruja, build three power plants, intensify the rail traffic, multiply roads and bridges, develop the towns of Cernavoda and Medgidia, etc. It was also made quite clear that the government of the Soviet Union “has sent us the best builders of canals to help us project and establish the course of the Canal and assist us with all the works that are to be done”. 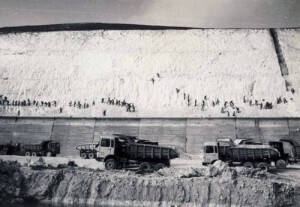 On the same day, 25th of May 1949, the decision of Romania’s Council of Ministers was adopted, stipulating “the immediate commencement of the preparatory works for the construction of the Danube-Black Sea Canal”. It was also through a Decision of the Government that the General Directorate of Worksat theDanube–Black Sea Canal was constituted, with Gheorghe Hossu at its head. The works began on July 15, 1949, the labour force being composed of workers recruited from all the large industrial enterprises from all over the country, relocated on this construction site (where the salaries were 40% higher than at their original working place), young people, including students, enrolled in patriotic work brigades, common law prisoners and political prisoners, who were enrolled in “working colonies”. In order to ensure the purveyance of the construction site several factories were rapidly raised: the cement plant of Medgidia, a thermal power station in the settlement of Ovidiu, the machine tool factory of Medgidia, etc. The site abounded with excavators, tipper trucks, tracked tractors, etc., most of them purchased in the Soviet Union. However, physical work prevailed. People were transporting the excavated soil, smashing rocks in pits, building railroads, barracks, buildings for offices, dormitories, canteens, cinemas, etc. The hurry of inaugurating the construction site created big problems regarding the accommodations, victuals or the opening of the working front. Since the route of the Canal itself had not yet been completely established, ad hoc modifications had to be made quite frequently, increasing thus the costs. The Decision of the Council of Ministers of May 1951 stipulated that the works were to be over till December 1, 1955. Noticing the works advanced with difficulty, in 1952 this deadline was revised and it was decided that this Canal was to be open to the navigation at the end of 1957. The leadership of Bucharest began to be aware that Romania did not possess the resources necessary to complete this enterprise; hence it started to incriminate the “saboteurs”, who intended to hinder the works. The trial of the Canal “band of saboteurs” was held on the 29th of August and the 1st of September 1952, and it ended with stiff penalties, three persons being condemned to death and executed. It was obvious that Romania did not have the human, material or financial resources to carry out this huge project. After I. V. Stalin’s death, in March 1953, it was necessary to seek a way to close the Canal site. The initiative belonged to the new Soviet leader, Nikita Sergeyevich Khrushchev, prime-secretary of the CC the CP of the Soviet Union. During Gheorghiu-Dej’s visit to Moscow, on July 8-13, 1953, N. S. Khrushchev proposed that the construction of the Danube-Black Sea Canal be abandoned. 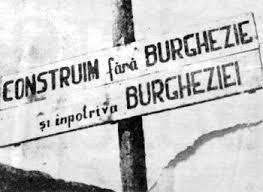 On the 21st of July 1953, the Central Committee of the Romanian Workers’ Party adopted the decision to “postpone the construction of the Danube-Black Sea Canal”. It was estimated that the costs were too high, and the new policy of the RWP was aiming to develop food and light industry, and raise the people’s living standard. The Decision of the Council of Ministers regarding the cessation of the works was not made known to the public. The diggings which had been made on the site were turned to profit starting from 1959, when the system of irrigations of Mircea Vodǎ was inaugurated, and was later developed as the Carasu System of Irrigations, with a total surface of 180,000 hectares. The Danube-Black Sea Canal issue was reprised two decades later, in which interval Romania’s economy had made real progresses, including in the domain of machinery industry (excavators, heavy tipper trucks, etc. ), the production of concrete and rebar, cement, etc. Additionally, by developing her education, Romania had now an important number of engineers, technicians and highly qualified workers, able to contribute to the fulfilment of very complex objectives. And they had proven this in the early 1970s, till 1974, by constructing the Transfǎgǎrǎşan National Road, 91 kilometres long, which was crossing the highest chain of the Carpathian Mountains, was connecting Wallachia with Transylvania, and reached an altitude of 2,042 metres. In March 1972 the Decision of the Council of Ministers was adopted regarding the drawing up of a technical and economic study called the Danube-Black Sea System of Navigation, and the Plenum of the Central Committee of the Romanian Communist Party of 18-19 June 1973 decided the construction of the Danube-Black Sea Hydropower and Transport Complex. A resolution of the Government ruled the foundation of the Danube-Black Sea Building Department. The engineer Chiriac Avǎdanei was appointed coordinator of the whole project. For three years, more than 70 architects, engineers, water engineers, geologists, climatologists, botanists, etc. worked in shifts, and drew reports, which materialised in 144 volumes of studies and researches, plus 358 volumes representing the proper designing part, with schemes, graphs, tables about the Canal and the adjacent works. Topographic, geologic, hydrologic, geotechnical, etc. etc. works were done, with a view to the construction of the Danube-Black Sea Canal, but having also many other objectives: to create a hydro power junction at Cernavoda, by damming the Danube; to make two locks; to set up a new maritime port called Constanţa Sud-Agigea and three commercial ports at Cernavoda, Medgidia and Basarabi; to complete the 64,2 kilometres long navigable Danube-Black Sea Canal via Cernavoda-Agigea; to build the 31,2 kilometres long navigable Poarta Albǎ-Midia Nǎvodari Canal; to raise three railway bridges over the Canal at Cernavoda, Medgidia and Agigea; to build a road network and four road bridges at Cernavoda, Medgidia, Basarabi and Agigea; to make a canal system able to irrigate 198,000 hectares of agricultural lands, with the possibility to extend it to 220,000 hectares; to construct a derivation from the main Canal in order to cool the aggregates of the Nuclear Power Plant inCernavoda; to build two hydroelectric power plants by the locks of Agigea and Ovidiu; to supply drinking and industrial water to a part of the town of Constanţa; to drain marshes and regulate water leaking, etc. It was estimated that by building the Danube-Black Sea Canal, Romania would connect to the trans-European navigation system linking thus Rotterdam to Constanţa; the transportation distance between Cernavoda-Constanţa-the Bosphorus-Istanbul was thus shortened by more than 400 kilometres, in comparison with the existing route, via the Sulina Channel, which would also entail a substantial reduction of the fuel consumed, as well as of the travelling time; additionally it would facilitate the relations with Middle East and South Asia states, as well as with those from the Pacific Ocean area. 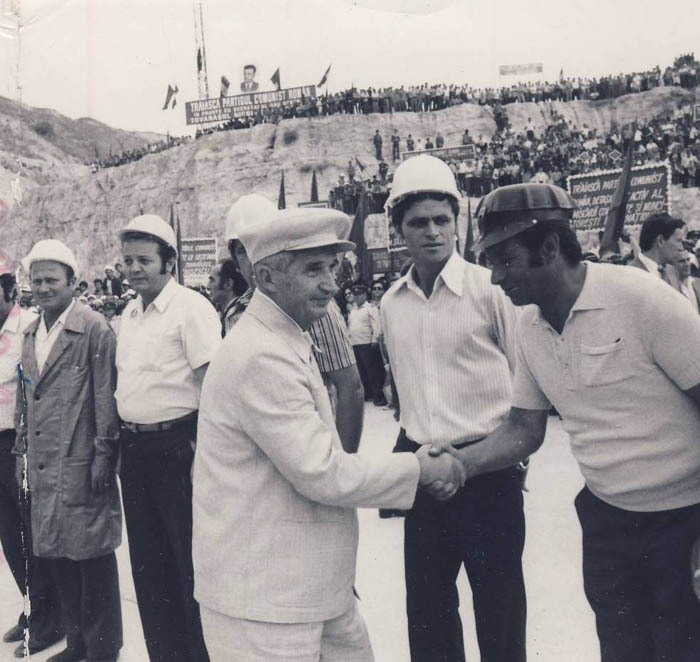 On the 1st of September 1976 the works on the Danube-Black Sea Canal were inaugurated. Pursuant to the project, the Canal was starting from Cernavoda, and at Poarta Albǎ it was branching off: the main branch was heading towards the settlement of Agigea, which was to become the port of Constanţa Sud, and the second branch (the northern one) was advancing towards the town of Nǎvodari and the Cape of Midia. The main workforce was the army, to which 40 kilometres of canal were allotted, followed by the youth, commissioned to build 10 kilometres. To their help came workers and specialists hired directly by the Danube-Black Sea Building Department. It was one of the greatest enterprises executed by Romania in the 20th century and one of the boldest of Europe and even in the whole world. For the construction of the Danube-Black Sea Canal 300,9 million tons of soil and rock were excavated; 87 kilometres of railway and 100 kilometres of road were build; and 4 million cubic metres of concrete were poured. In certain places, the excavations went to a depth of 70 metres, in order to reach the hard rock. 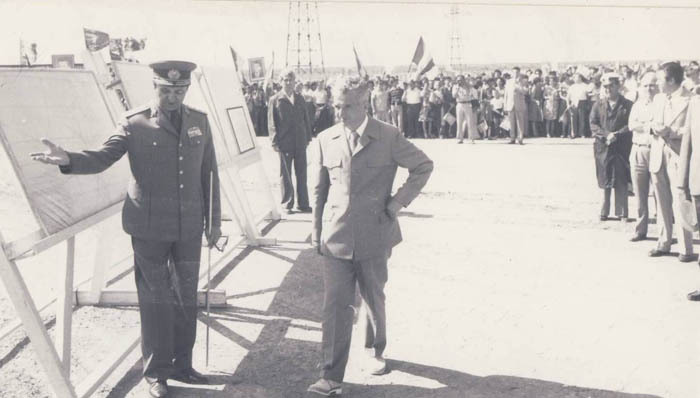 The Danube-Black Sea Canal was inaugurated in the presence of President Nicolae Ceauşescu on the 26th of May 1984. The depth of the Canal is of 7 metres, its width at the bottom is of 70 metres and at the surface of 90-120 metres. At each extremity of the Canal there is a lock, which allows both ways fluvial traffic. The annual transportation capacity is of 80-100 million tons. Since 1983, from Poarta Albǎ a canal was built that links the industrial zone of the town of Nǎvodari to the Cape of Midia. This canal, 31,2 kilometres long was inaugurated in November 1987. It is 5,5 metres deep, and 50-60 metres wide at the bottom, and is mostly used to serve the economic activity of the petrochemical plant of Midia-Nǎvodari. Its annual capacity is of 15-25 million tons. During the 8 years it took to build it, a 134 kilometres long road network was systematised, rehabilitated or built, and 78 kilometres of railroad were also built. Six new big bridges span the main Canal, and a road-rail bridge crosses the adduction Canal of Cernavoda. High power line voltage, gas and petroleum pipes, networks for drinking and industrial water, etc. were systematised, raised or built. 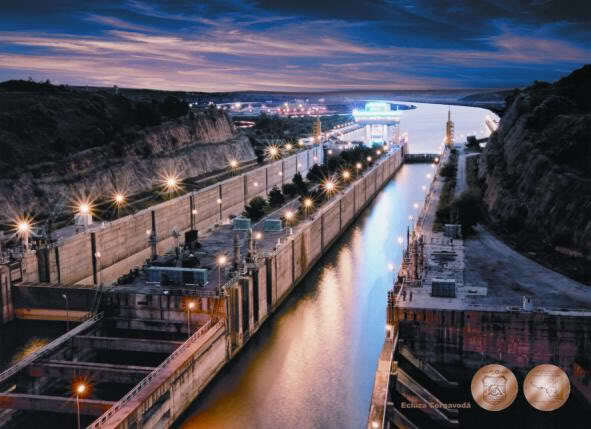 According to certain estimations, the total cost of the Danube-Black Sea Canal amounted to 2 billion dollars. The works had began in a period of economic prosperity and ended in full economic crisis, felt badly at worldwide levels, as well as in Romania. Not only Romania, but other states too, especially the riparian zones, benefited from the Canal. It is included in the trans-European navigation system, which links the North Sea (the port of Rotterdam) via the Rhine-Main Canal, to the Danube and the Black Sea (the port of Constanţa Sud). From a historical perspective we may state that the Danube-Black Sea Canal remains an impressive enterprise, which demonstrates and highlights the creative capacities of Man, and the real possibility of modifying nature to the benefit of humankind. See, at length, Paul Cernovodeanu’s Românii şi primele proiecte de construire a Canalului Dunǎre-Marea Neagrǎ (1836-1856), in “Revista de Istorie”, no. 2, 1976; Stoica Lascu, Mǎrturii documentare privind elaborarea unor proiecte ale Canalului Dunǎre-Marea Neagrǎ, in “Revista de Istorie”, no. 6, 1984. See Iulian Cârţânǎ’s and Ilie Seftiuc’s, Dunǎrea în istoria poporului român, Bucharest, Editura Ştiinţificǎ, 1972. 1o.Camelia Moraru and Constantin Moraru, Stenogramele şedinţelor Biroului Politic şi ale Secretariatului Comitetului Central al PMR. vol. V. 1953, Bucharest, Institutul Naţional pentru Studiul Totalitarismului, 2012, pp. 286-290. There is a need for a web site listing the largest, and the most important and the longest shipping canals of the world, of which this seems to be one. Literally zero mention of slave labor camps. Seems legit.